Your morning commute to work, solved with Sharetransport. We know that for most of us staying more than 20km away from our offices, commuting can be consistently the worst nightmare of the day. A small drizzle in the morning could literally spice up the heat in your stomach. Especially for those staying in the far end of Singapore, I’m sure you can relate to this. At ShareTransport we feel that transportation should be the least of your worry. It all begins with a thought put into a suggestion box. With you and your colleague’s thought we form viable routes, which re-invents your daily commute. Estimated Travelling time: 45 minutes. 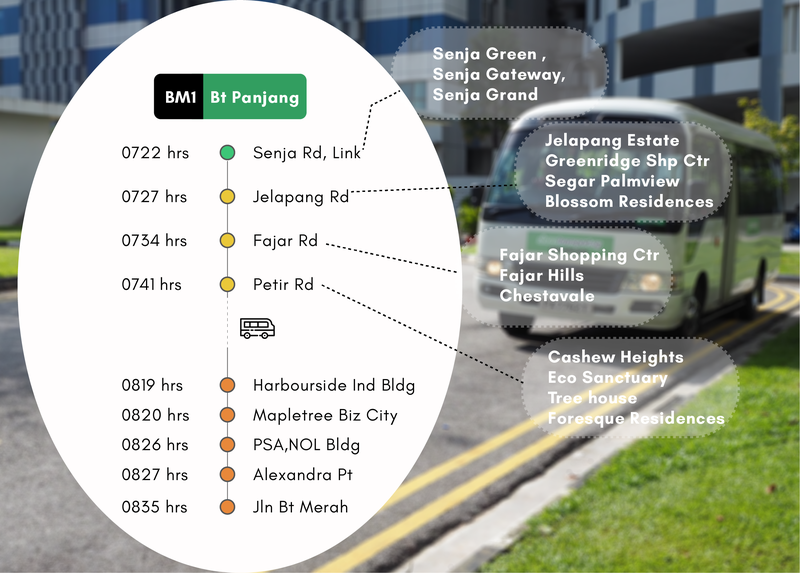 This bus routes allow commuters to have a direct access towards Bukit Merah Town Estate as well as offices along Alexandra Road e.g. Mapletree Business City without having the need to have multiple transfers en-route to work. 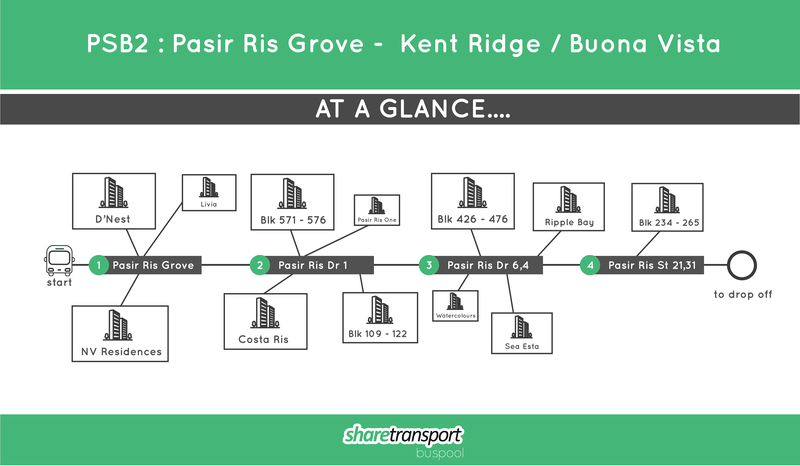 This bus route serves the new housing developments along Pasir Ris Grove – Flora Dr. Especially for commuters who find it a hassle to walk more than 200m to a nearby bus stop, this route is of great convenience. Drop-off is along Kent Ridge and the One North Vicinity. What about CBD? You’ll be surprised to find our next point. What about an alternative bus to various office towers in Shenton Way with this 100% Electric bus? Bus Route zips you directly from Jurong West St 51, Corporation Rd and Corporation Dr straight towards the Central Region of Singapore. Start to feel fresh and loaded with your breakfast when reach your offices. An alternative transport changes the way you look at your daily routine. Not forgetting, evening routes are available too! You may wish to view the routes in detail on the ShareTransport mobile App here. Here’s $5 OFF to get you started on your Monthly or Daily Pass, use promo code: Fresh5 on your first ever-alternative transport ride with ShareTransport.